FREE Make and Take - TODAY! 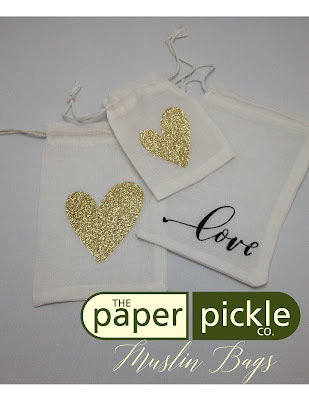 Valentine Make & Take - SATURDAY! Classes - New Schedule is HERE! NEW Poppy Stamps are HERE! 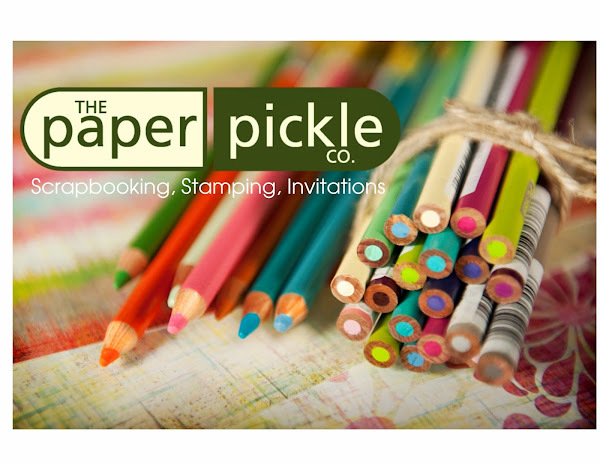 Due to a family funeral, The Paper Pickle and Homebaked Kitchen will be opening at 2:30pm TODAY. We apologize for any inconvenience. 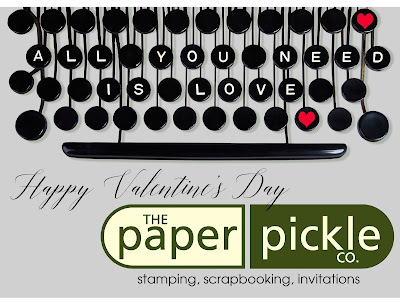 If you have an urgent matter, you can email me at thepaperpickle@gmail.com and I will do my best to assist. There are still a couple of spots in tonight's class (from 6-8pm). 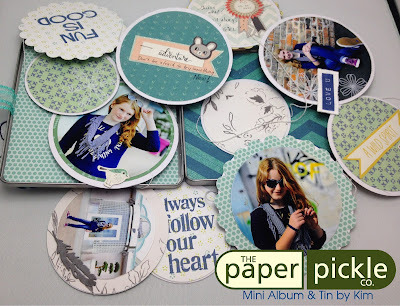 Please email me at thepaperpickle@gmail.com if you are interested in attending this fun mini album class. 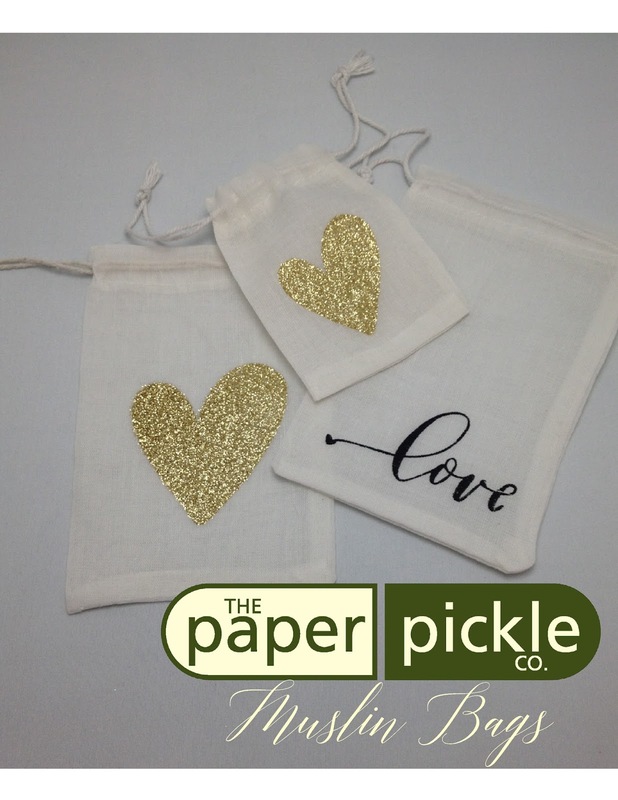 Price is $25 and includes all supplies and a sweet treat from Homebaked Kitchen. It's going to be a beautiful day. Why not get out and stroll downtown? 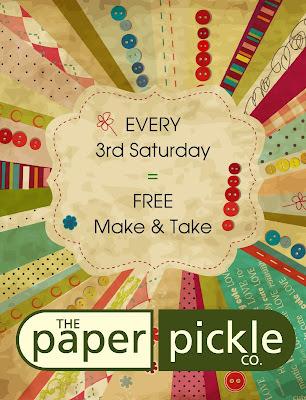 It is the 3rd Saturday of the month so we have our FREE make and take happening! 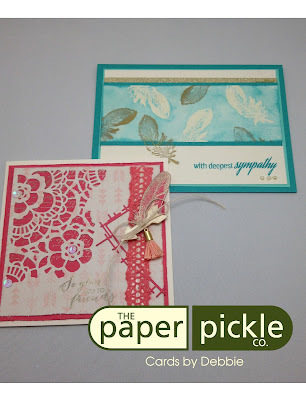 Join us today for a FUN card using some of Jen Hadfield's new paper from her "Simple Life" line. No sneak peek pictures of the project here but I can tell you it is a great card for all occasions! Ahhhh. You guys. I just want to tell you how much I have enjoyed our journey together over the past 14 years (14 years!!??!!). Simple little visits to The Pickle have turned into amazing friendships and I thank you for that. 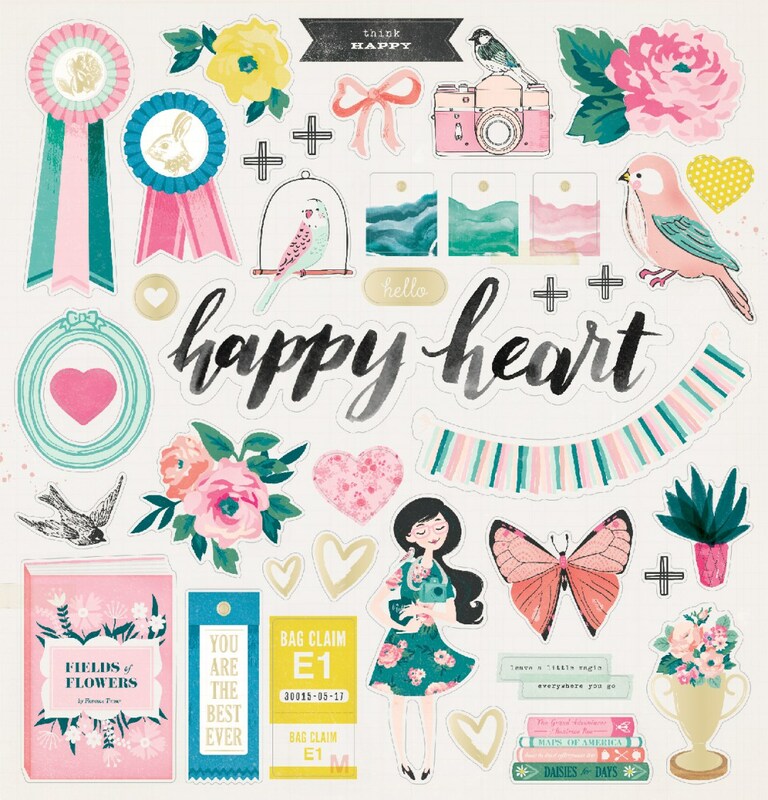 Your support of me (and all my gushing) and small business means more than I can express. 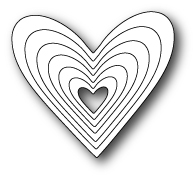 I hope you have a Happy Valentine's Day. 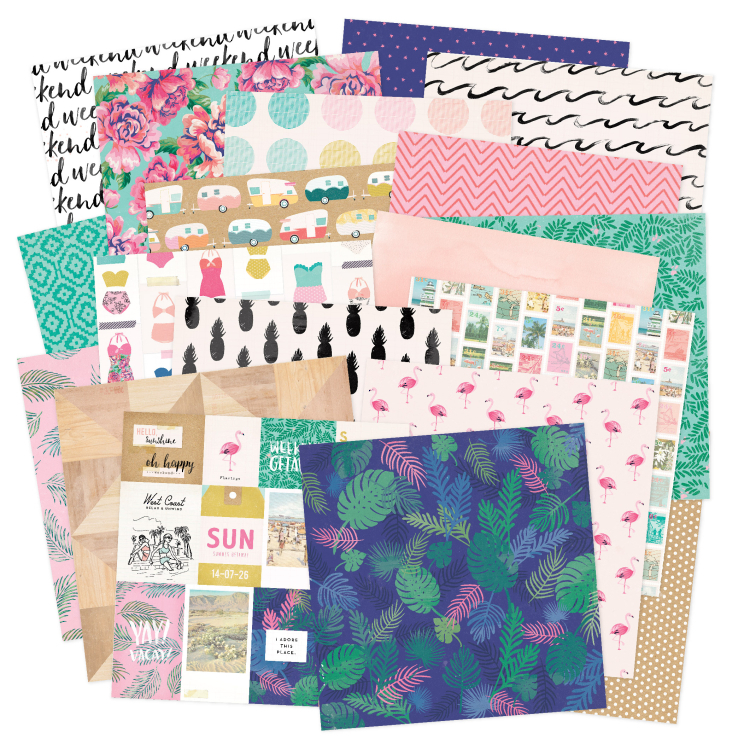 If you need any supplies for a little project today (it's never too late! ), we are open. Don't forget to grab an incredible, delectable treat from Homebaked Kitchen while you're at it. I know it's not the third SATURDAY of the month but it didn't seem right not having a little make and take just days before Valentine's Day. 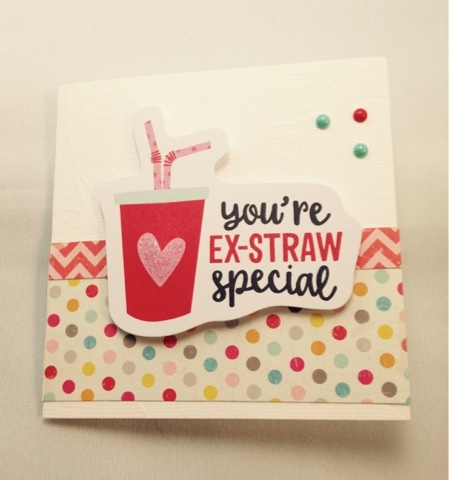 Join us SATURDAY from 10-2 for a little self taught project...make a card for someone special. 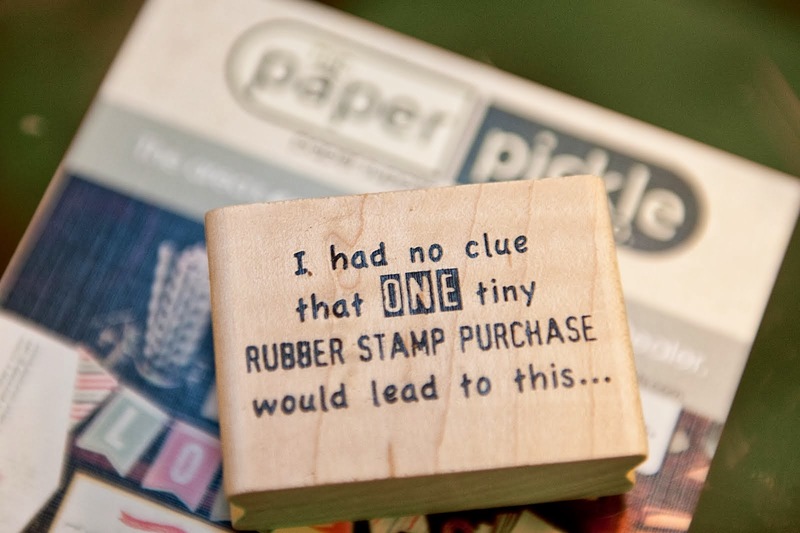 We are using these cute little Pebbles die cuts with witty sayings like the one above and more! Please join us. We will have a table set up ready for some fun. Everyone is welcome. And don't forget to pick up Homebaked Kitchens one of a kind, decadent and beautiful desserts while you are there. You all know about my love affair with Crate Paper. I mean this company blows me away with their designs and trend setting art. You thought you loved their swans....wait til you see Maggie's parakeet! The fresh colour. The versatile designs. 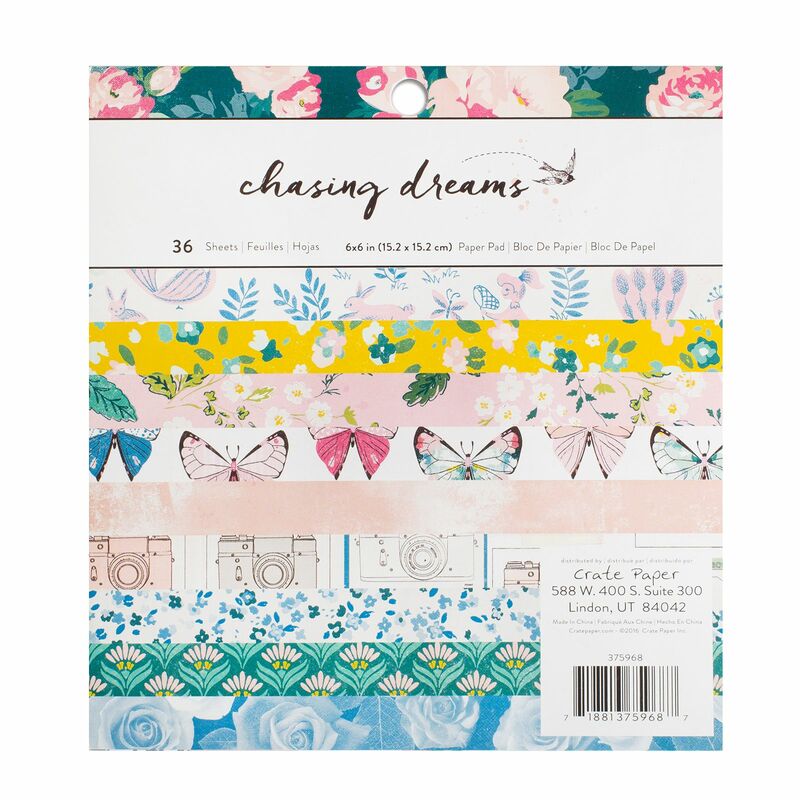 Chasing Dreams has ME dreaming of layouts and projects galore. 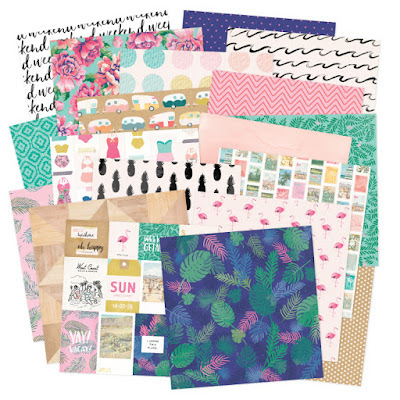 PS...Lots of new goodies are rolling in from CHA (cough...cough...I mean Creativation). 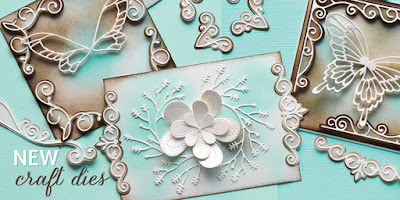 Spellbinders fans will love the new dies (yes! Including the rainbow and unicorn!) 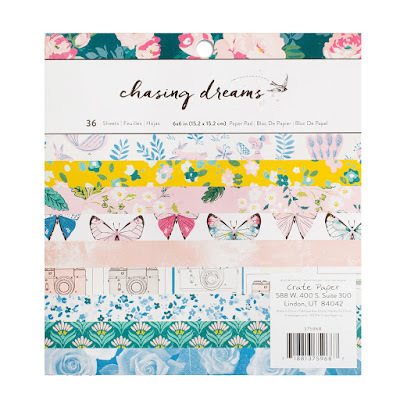 and there is a great new paper line from Jen Hadfield called Simple Life. Those who love the wood tones will adore this line. I am thrilled to introduce a new teacher to The Pickle. 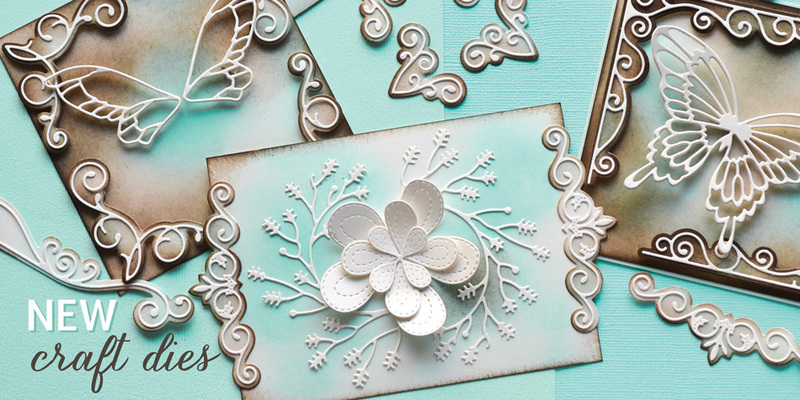 The gorgeous cards above were designed by the very talented, Hilary Henley. I knew Hilary would be a wonderful and natural addition to our team. Each year, Hilary has participated in our Tag Exchange and her tags were always filled with technique and I was constantly asking myself "how did she do that?". Hilary is also a very active Zontian and you will often find Hilary teaching at their bi-annual card extravaganzas (btw...the spring date has been set - mark March 25 on your calendar!). 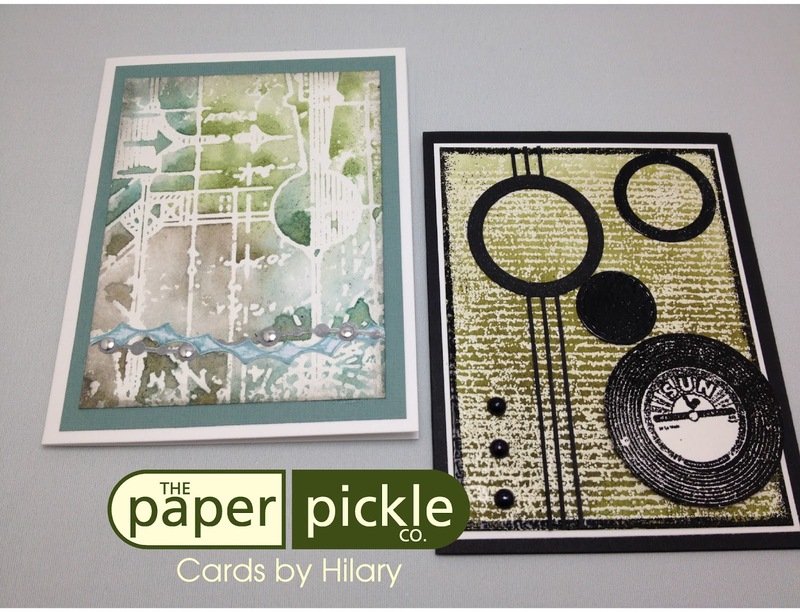 Without further ado, here is Hilary's first card class at The Paper Pickle! 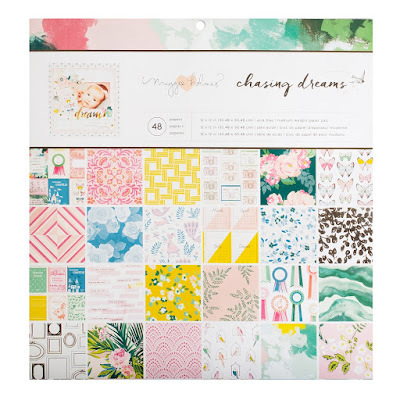 Be prepared to play and have fun creating gorgeous backgrounds using embossing folds, ink, spritzing, embossing powders and more! 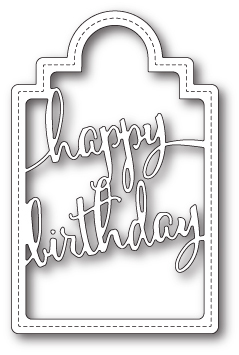 These cards have a masculine feel but are versatile enough for any occasion. 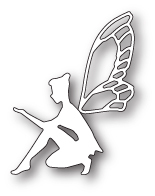 There are still a couple of spots left in Debbie's class (this Wednesday afternoon!). 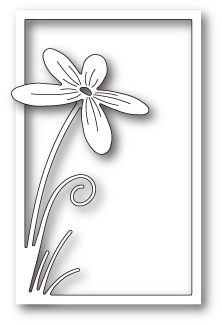 You will be stamping, embossing, working with dies and more. Don't be shy. Sign up and have a little fun. All levels are welcome at our classes. 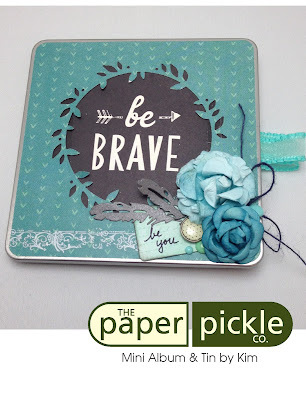 I designed this mini album and tin just before Christmas as a sample for the store, Because so many of your have expressed interest, I am happy to say this will be an upcoming class! The tin is the size of a CD case (5.25x5.25") and houses a fun stitched circle garland so well. There are 12 circles (with diameters ranging in size - 3", 3.5" and 4") to decorate with papers, photos, stamps, rub-ons and more. I chose colours that are gender neutral so make this project for a special boy, girl, pet or any loved one! We had a great class on February 1st with Laura. 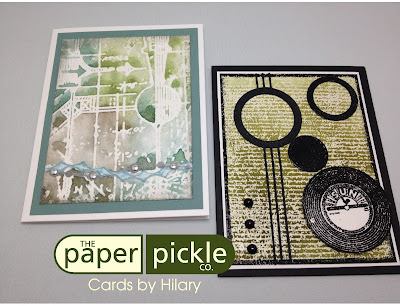 It was a mixed media layout and I know the students had a blast learning about a few new products! 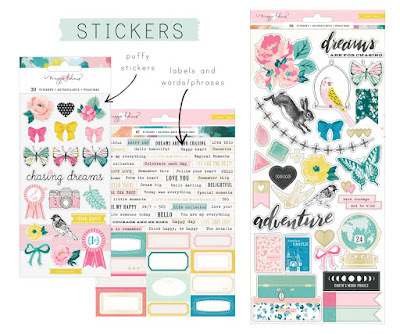 Laura is busy prepping her next layout. Mark your calendars for March 1st! Photo and details to follow shortly. Please give the store a call if you would like to register (519.351.5220) and feel free to leave a message if it is outside of store hours. Or stop into the store in person during store hours. These projects are always best enjoyed and appreciate when viewed in person. We'd love to have you join us! Incredible new Poppy Stamp dies have arrived. Just have a look at a few of the pretties. Anyone interested in joining us for a gorgeous card class on February 8th? 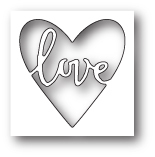 You will be working with dies, heat embossing, stamping, distressing and more. 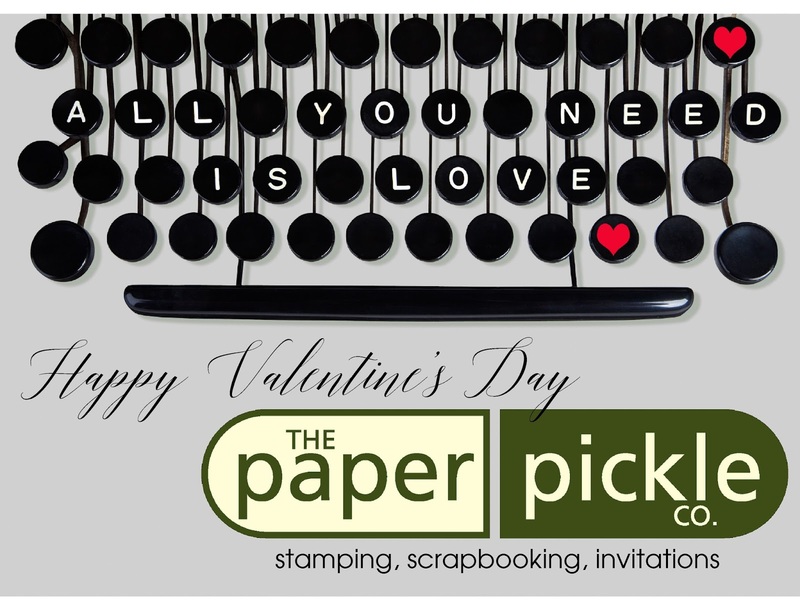 Please call the store to register (519.351.5220) or stop in during store hours. Seats are limited in this afternoon class so don't delay. We are focused on afternoon classes through the winter months to help people feel more comfortable driving. However, if there is enough interest, we will consider running an evening class. Please let us know and we will add you to our waiting list. Our BIG SALE continues. There are many awesome items looking for good homes. Beautiful items to add to your craft room or great gift items. I know you will thank us for this sweet sale when you are hunting for a pretty hostess gift and you've got one! Stock up that gift closet!